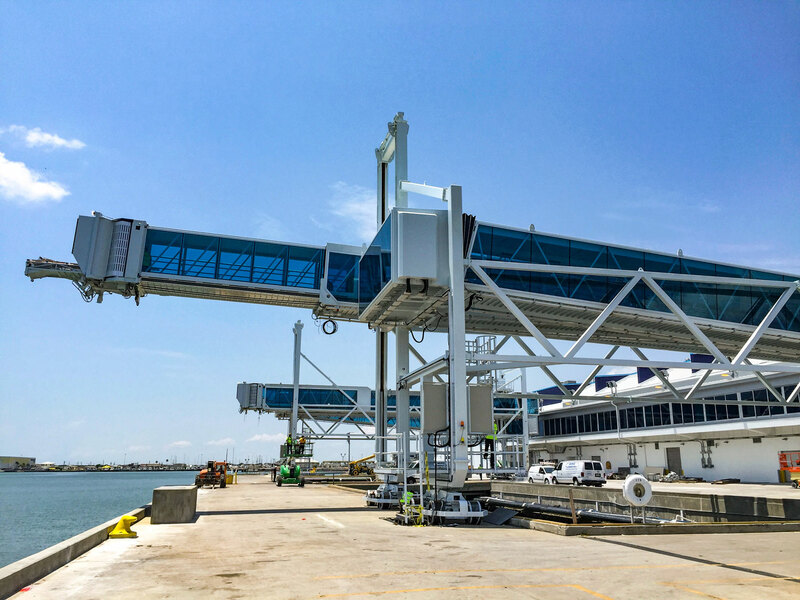 The Canaveral Port Authority selected ADELTE to design, manufacture and install two custom-made HYDRA models Seaport Passenger Boarding Bridges at Cruise Terminal 5. 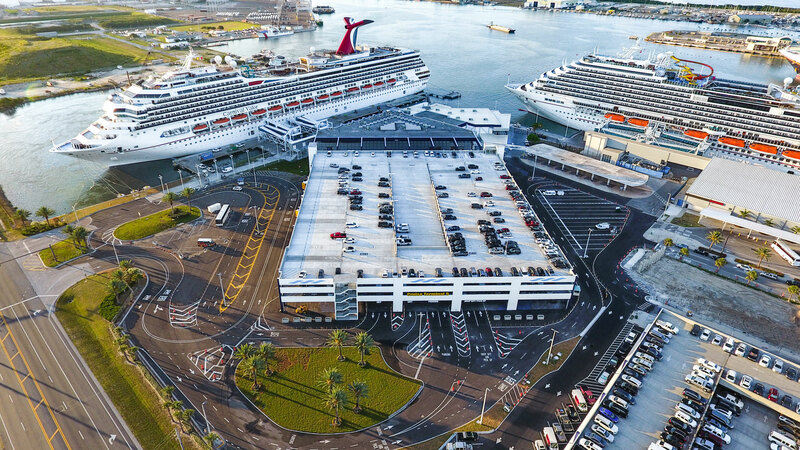 Port Canaveral was named the “Best North American Homeport” in 2015 by Cruise Critic and is the world’s second-largest cruise port by number of passengers, receiving 3.9 million passengers in 2015, behind Miami’s 4.8 million passengers. 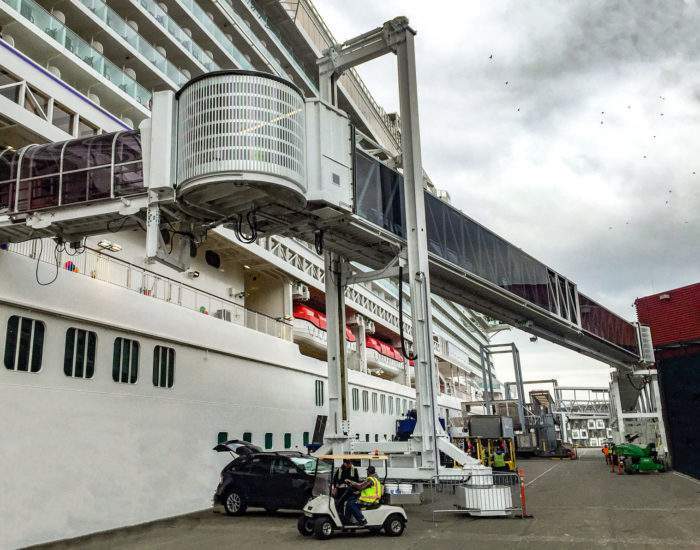 It is expected to grow by 50 percent in the next four years, reaching up to 6 million cruise guests annually. 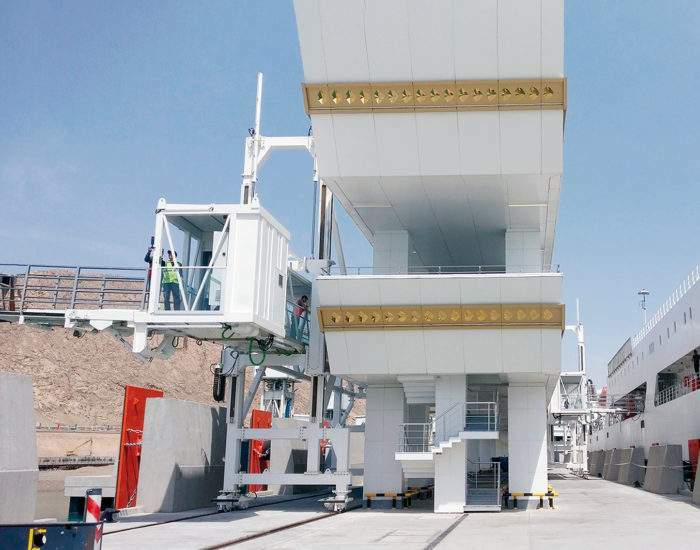 It is the third time that ADELTE has been contracted to deliver sophisticated boarding bridges to Port Canaveral; the first two SPBBs were installed in 2012 at Cruise Terminal 6 and have been operating since then. 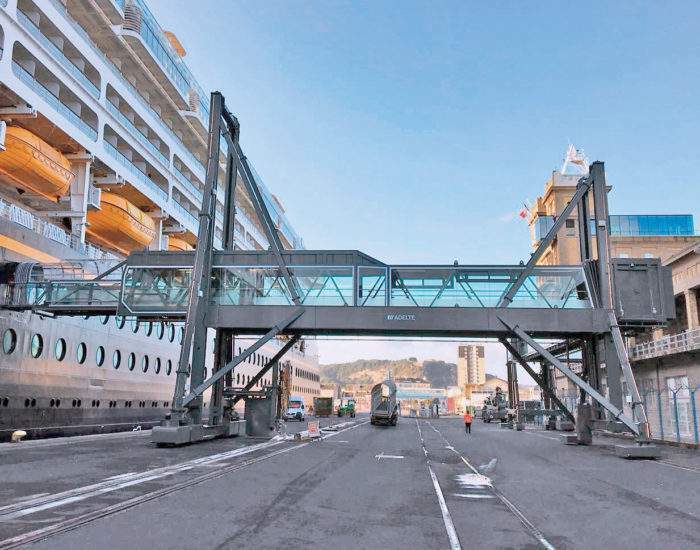 ADELTE will deliver two tailor-made HYDRA Seaport Passenger Boarding Bridges designed to perfectly accommodate large modern cruise ships. The HYDRAs will be equipped with an innovative new feature developed by ADELTE’s R&D engineering department. 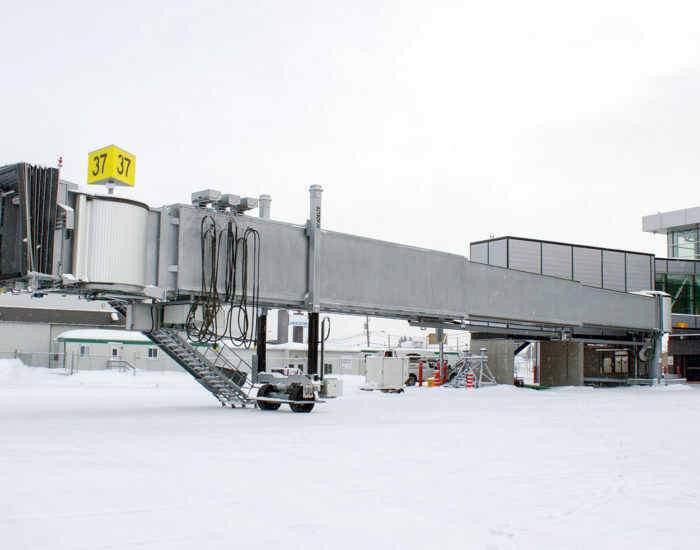 It consists of a cabin with a double telescopic ramp, which adapts perfectly to each access door position and configuration and allows a greater flow of passengers.